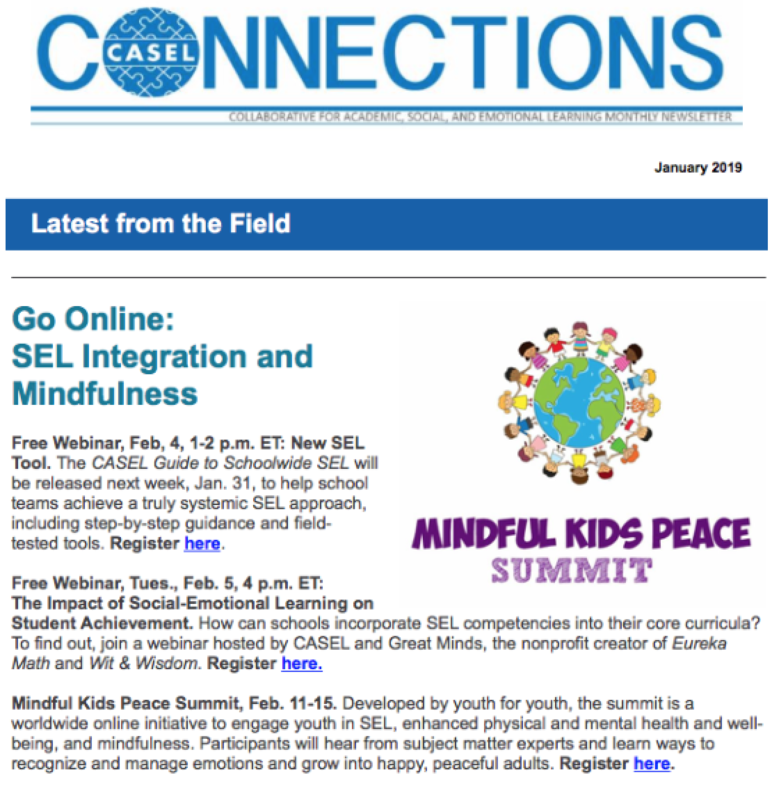 We are so honored to have been included in CASEL’s newsletter. 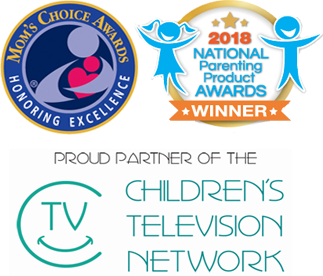 CASEL is the Collaborative for Academic Social and Emotional Learning, and is the premier SEL organization in the country. We are so grateful for their support and for helping us spread the word about the summit to educators everywhere. Thank you CASEL! The Mindful Kids Peace Summit is a 5 day online global peace summit, created by a kid for other kids, & is the first of its kind geared to tweens and teens and shown in middle and high schools all over the world as part of the curriculum. It’s all about mental health and stopping the violence. More than 50 experts are speaking on topics such as diversity, inclusion, communication, anti bullying, kindness, coping with stress, emotions, trauma, mindfulness techniques, positive psychology, social emotional learning, interacting with others, and more. Teachers get lesson plans afterwards if they want to continue discussions with their students, kids get service hours for attending, and it’s Free if watched on the days of the summit (Feb 11-15th). If schools want to watch it at their leisure or watch it again, it’s $169 per school (not per student). Educators and parents, please unite to make mental health a priority, and show this program in schools. 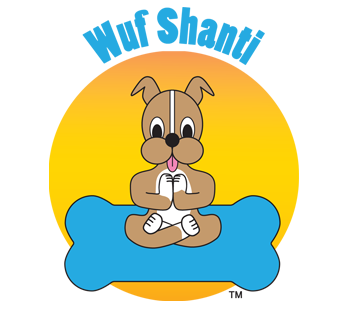 Adam created Wuf Shanti about 4 years ago, teaching social emotional learning and mindfulness to kids 3-10 through fun, games, music, the mascot, videos, and books. As Adam grew up and started high school, so did the program. He wanted a program more appropriate for teens (minus the dog character). So the peace summit was born, which is all the same topics that we teach the younger kids, but in a much more serious way for teens. Wuf Shanti started because Adam was super close to his great-grandpa who believed in and taught Adam all about mindfulness, and he wanted to pay it forward when Grandpa passed on. After Parkland, Adam decided to work ever harder. It was how he processed everything, and he made it his mission to get the peace summit into as many schools around the world as he could. He said that other kids are working on gun control, so he has to work on what he knows best, which is the mental health side of it, and that maybe if they all come at this simultaneously from different angles, then they could actually change the world and stop the violence. He has been working on the summit every day after school, on weekends, even though there are probably times he would want to go play basketball or golf or hang out with friends, but he is determined. Since he had never put together an online international 5 day summit before, he asked Helen Maffin, of MindBe-Education to teach him, & she has been a wonderful mentor. Everything that he has done for the past 4 years has been for free, all the schools and hospitals visits too, just wanting to make the world a better place. Wuf Shanti & the Mindful Kids Peace Summit have been recently recognized in goop magazine, Psychology Today, CASEL, and more. The Summit is free Feb 11th-15th in order to encourage people to register and watch on the same days around the world, so as to start a movement, like that of the world-wide marches, and get these programs into schools everywhere. Educators please unite to make mental health a priority so that we can stop the violence. If we can teach kids these tools, then they may grow up to be less depressed, less anxious, and less angry, and maybe we can lower the statistics of bullying, suicide, and homicide. We, as a country, need to start caring about more than just test scores, and focus on the whole child in a holistic manner. Many countries around the world make programs like this mandatory. It’s time that the U.S. did the same. We feel as if we are racing against the clock to reach the kids before more school shootings continue to happen. We need help to reach other schools, superintendents, principals, guidance counselors, teachers, parents, etc to register for the summit and show it to their students, so we thank you in advance for your efforts to help us spread the word. Cheers to healing the planet together!